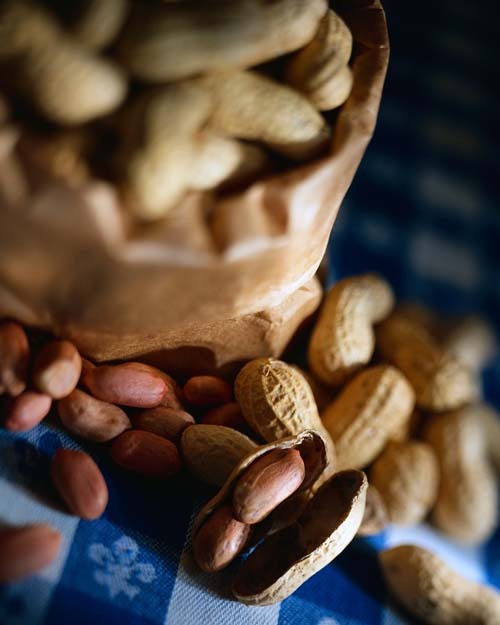 A mom whose first-grader is contact-allergic to peanut — that means he can have a reaction by touching amounts invisible to the naked eye — wrote at CentralValleyMoms.com about a potentially dangerous incident involving her son’s first field trip. Everything was set and the boy was excited about going to the pumpkin patch. Until the school nurse and teacher called the mother this morning and told her that the sack lunches the cafeteria had made for the class included peanut butter and jelly sandwiches. The mother was home sick with two other sick children and couldn’t go. You wonder how on Earth the ball got dropped to that extent. The nurse knew the kid’s contact allergic. The teacher knew the kid’s contact allergic. For the most part, the mother gave her school district high marks for its efforts to keep her son safe. But no one tells food services that peanut butter and jelly is a potentially deathly bad idea? I don’t get it. Granted, no one can think of everything but this is a pretty huge thing to overlook. And now I’m working overtime trying to think of what I’m missing when it comes to Big Guy’s first field trip in a few weeks — also to a pumpkin patch. Although I thought I’d learned my lesson about not asking enough questions after seeing peanut butter and crackers in Big Guy’s classroom during parent orientation, had my friend not passed along the other mom’s post, I might have goofed up again. So tonight I emailed Big Guy’s teacher with a slew of questions: Will the kindergarteners have their usual morning snack? Will it be something brought from the school, which can be controlled pretty easily, or purchased at the patch, which could get complicated? If it’s the latter, I volunteered to bring a vat of hand sanitizer — she’d already asked me to come along, because we know they sell nuts at the pumpkin patch and an extra set of eyes on Big Guy will be helpful. Now that I’ve googled around a bit, I think wipes will be a better bet than sanitizer. 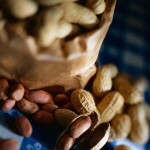 Some studies have shown that sanitizer alone leaves detectable amounts of peanut allergens on hands. Big Guy’s reacted before to third-hand trace amounts. And could school officials alert parents of children in the other class that they can’t eat peanut products on the bus? Argggggghhh. So much to think about for one little half-day jaunt. Can’t wait until he’s in junior high and they fly across the country to Washington, D.C.